This one-day conference aims at contributing to the development of the recently created research field of Adaptation Studies, which is currently enlarging its boundaries and influence in British and American Universities, with researchers drawn from literature and film backgrounds. The existence of an International Association of Adaptation Studies (De Montfort University, Leicester, U.K.), which hosts the journal Adaptation (Oxford University Press) is a sign of the growing importance of this field in academic circles, underlining the potentialities of adaptation in interdisciplinary and transdisciplinary dimensions. Even though Adaptation Studies tends nowadays to broaden its scope of research to include diverse forms of intersemiotic and intermedial adaptations (namely non-literary forms into other media), the main focus of interest is still the adaptation of literary texts to film. 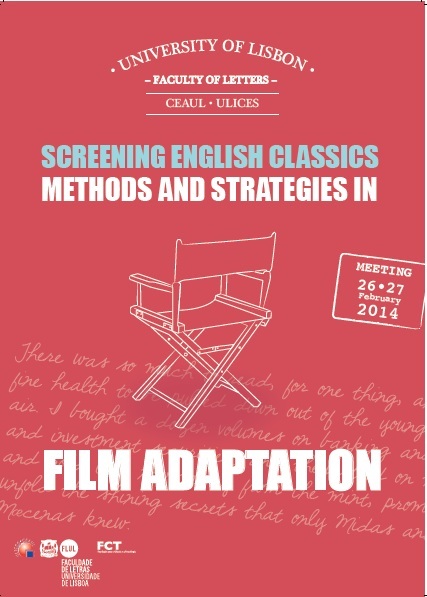 It is within this vein that the Conference addresses approaches relating to the screening of English literary classics (novels, short-stories or plays), thereby offering an opportunity to theorise and to interrogate the phenomenon of literature on screen from both a literary and a film studies perspective. It is worthwhile mentioning the fact that there have been numerous adaptations of English classics not only in Britain and other European countries, but in the United States as well, which allows for a comparative study and a cultural critique focused on diverse contexts of film production.